If you get a problem with your exhaust Tanvic Tyre and Service Centres can fix it for you. Your exhaust is made up from a number of parts. It is likely that only one or two parts of the system will need replacing at any one time. Tanvic Tyre and Service Centre can replace individual parts or the full system depending on what is required but we will only carry out work that needs to be done. and models -all at competitive prices. If you are experiencing any of the above symptoms or you have any other concerns with your exhaust please call into Tanvic Tyre and Service Centre and our fully trained exhaust specialists will be happy to carry out a comprehensive inspection for you. 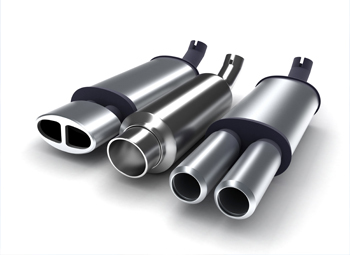 For a competitive quote on car exhaust systems contact your nearest Tanvic Tyre and Service Centre.